Everyone loves Cotton Candy. 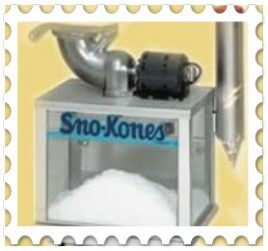 With this commercial grade Cotton Candy machine, you can make approximately 3 servings in one minute. Prices for supplies depends on volume, Call (334) 347-JUMP for a quote. Make individual bags of Popcorn for your guests in a matter of minutes. 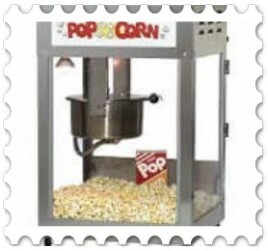 Follow the easy step by step instructions and you will be eating mouth watering popcorn within minutes of pouring the ingredients in. Ice Cold Snow Cones are a great way to cool off guests. Call for your favorite flavor today. We have everything you need to make your concession a big hit. 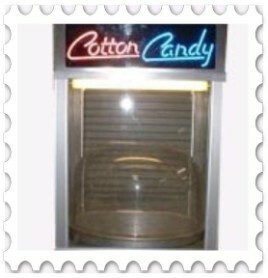 Anything from Snow Cone cups to the Cotton Candy floss! Buy what you need.